Good morning everyone. For those of you who have used mermaidmansions.com/Jackie & Larry Sims (the very best property managers/landlords on Navarre Beach) and may at some point wish to rent the Sandcastle, which is a lovely home on the beach, right next to the next to last public lot on the west end....well, the owners have elected to put the house on the market. Who knows what the new owners will do, when and or if the house sells. They are asking a stupid amount of money. It was a great house, having 5 bedrooms and 4.5 baths. Maybe, just maybe the new owners will rent it out. It served my family and friends well. PensacolaKid wrote: They are asking a stupid amount of money. It was a great house, having 5 bedrooms and 4.5 baths. Sarcastic mode = on - That said, there is one with 6 beds/4.5 baths for $2,000,000 right now, but it's been on Zillow for five months... I wonder why its taking so long to sell? Over $7k a month for the morgage... At that price, I'll take 3 ... or again, perhaps not. So... 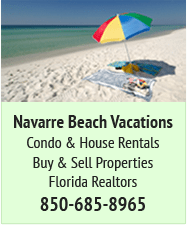 I have just looked and Spring madness has set in for the Navarre Beach real estate market. This is the usual inflation for prices once the sun comes out. Everything on the beach is about double what I'd estimate (in my humble opinion) a reasonable market value for them. There are also a few on the mainland where the owners that clearly tripping or at the least, high on something... 3 bed/2 bath for a million+ and are not even with a clear view of the sound or are "grand" or "luxury" kind of places - just regular houses that even here in North Texas, with our house price bubble in full inflation right now, would be just 25% of that kind of level. Just remember folks --- come the fall storm season and another (overdue) big storm comes through, you will be crying that your insurance does not covering everything you need to pay for that new roof and you will wonder why the house value is now down to less than a third of what it was this spring. Know the reality of living in this part of the county; "when" not "if". 1.3 Million for the Sandcastle. No way. It will not sell for that. Just spoke with a friend of mine who is active in the central Florida real estate market right now... or should I say WAS active. He confirms that there is a bubble going on right now down there with values of anything from 50 to 120% OVER what they were for some properties this time last year. Oh no, the Sandcastle was a very special place! My husband and I loved being there! I wish everything would turn out fine but to be realistic real estate prices are pretty high right now! I'm curious about what is going to happen! I haven't been in Navarre for some time now but I want to go there again in October. 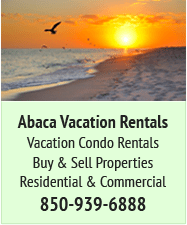 We are originally from Oregon but have been looking into moving to Florida for several years so I really know about prices.. puh... although we were pretty lucky and got one of the condos from http://sabbiabeachcondos.com/fact-sheet/. For sure we had to pay the price too but to find a place like this next to the beach is really rare! So I guess also The Sandcastle is going to find a buyer pretty fast! Sabbia - "starts at $900K" - outa my price range! 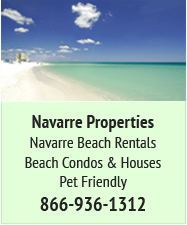 I should clear my throat and suggest we don't advertise out of immediate NW Florida area condo developments, but at $900,000 and up, I guess this serves as a reminder of just how wonderful Navarre Beach is - and just how much of a bargain it can be? Looks like they bought a banner ad/link? 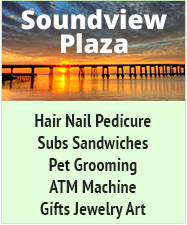 Saw on both "Navarre Beach Area" and "Navarre Beach Main Forum". I don't think there is much control over who goes on those... Kenny? BJ, I think these "banner" ads are somewhat driven by whatever is on our own browsers. 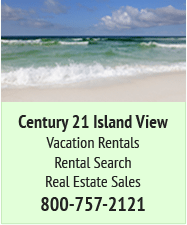 I've noticed that if I don't clear the history when I've been doing extensive shopping searches on a few particular sites, the ads that show up on my computer on this site will be from those places. Could that be what happens???? AngelGirl wrote: BJ, I think these "banner" ads are somewhat driven by whatever is on our own browsers. I've noticed that when I've been doing extensive shopping searches on a few particular sites, the ads the ads on this site will be from those places. Could that be what happens???? They are google ads (I think). If so, I suspect that its a category that gets selected and whatever is available in that category and has advertising credit gets displayed - and of course, refined from your browser cookie contents.